Start the tour with a visit to four of Kathmandu’s UNESCO World Heritage Sites – Kathmandu Durbar Square, Pashupatinath, Swayambhu, and Boudhanath. We also make a visit to the two medieval cities famous for arts and architectures – Patan and Bhaktapur. Then we drive into the mountains to Pokhara along the cascading Trishuli River below. 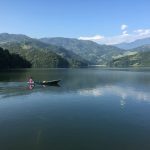 Pokhara, well-known as a Lake City, the gateway to world-famous Annapurna Region, is not only Nepal’s but one of the most beautiful valley worlds today have. Moreover, popularly known as a city of Himalayan lakes, caves, waterfalls, rivers, and mountains. 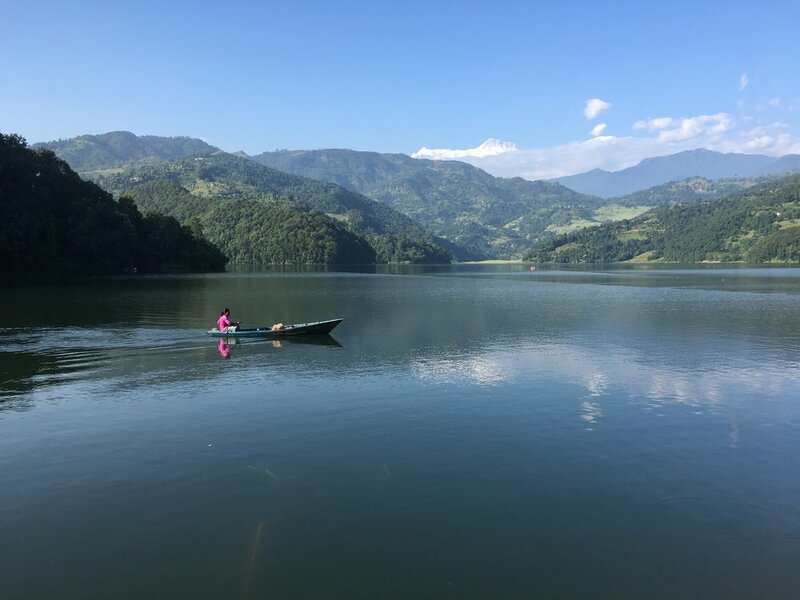 Another, a feature of Pokhara is that although it has the somewhat sub-tropical climate, you will see the Himalayas hover over Pokhara as if you can stretch your hands and hug them. Pokhara is also famous for its waterfalls, we take you to several dashing waterfalls flowing downhill, some of them really scary ones. There is a waterfall in Pokhara even inside the city itself – the bone-chilling Davis Fall. Besides, the breathtaking views of the world famous Himalayas including Annapurna and Dhaulagiri ranges are sure to make you spellbound. 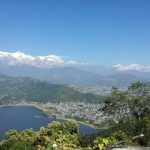 And what to say of the panoramic mesmerizing sunrise views over the Himalayas from the Sarangkot Hill, or the unparallel views of the Fishtail Mountain mirrored by the Fewa Lake? 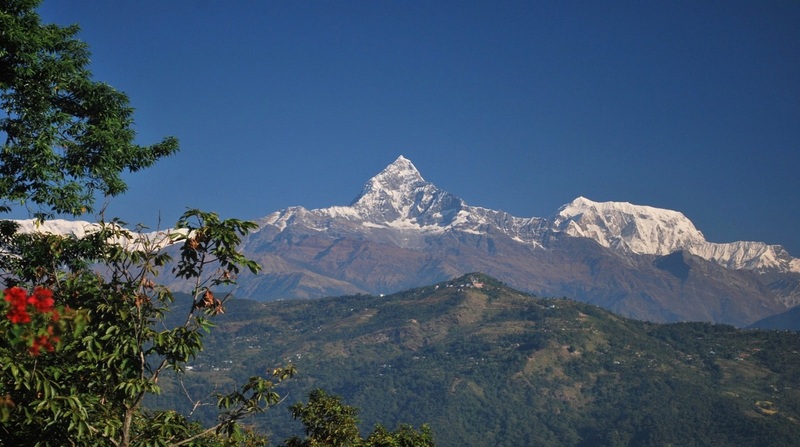 The trip encompasses some of the most spectacular cultural & natural splendors of Nepal. Moreover, you will also get an opportunity to mingle with local people with their ethnic lifestyles. Day 01: Kathmandu (Arrival) On arrival, meet & greet and we transfer you to the hotel. Check in at the hotel and the rest of the day is at leisure and overnight. Day 02: Kathmandu Today, after breakfast city tour of Kathmandu and Overnight. Day 03: Kathmandu – Nagarkot After breakfast, visit Pashupati Nath Temple and transfer you to Nagarkot. Overnight stay at Nagarkot. Day 04: Nagarkot – Pokhara Check out from the hotel at Nagarkot after breakfast and visit Bhaktapur Durbar Square. Later transfer you to Kathmandu to board the flight to Pokhara (Surface transfers also can be arranged with some additional charge). Arrival at Pokhara, check in at the hotel and overnight. Day 05: Pokhara After breakfast go for a sightseeing tour of Pokhara City. Afternoon return to the hotel and overnight stay at Pokhara. 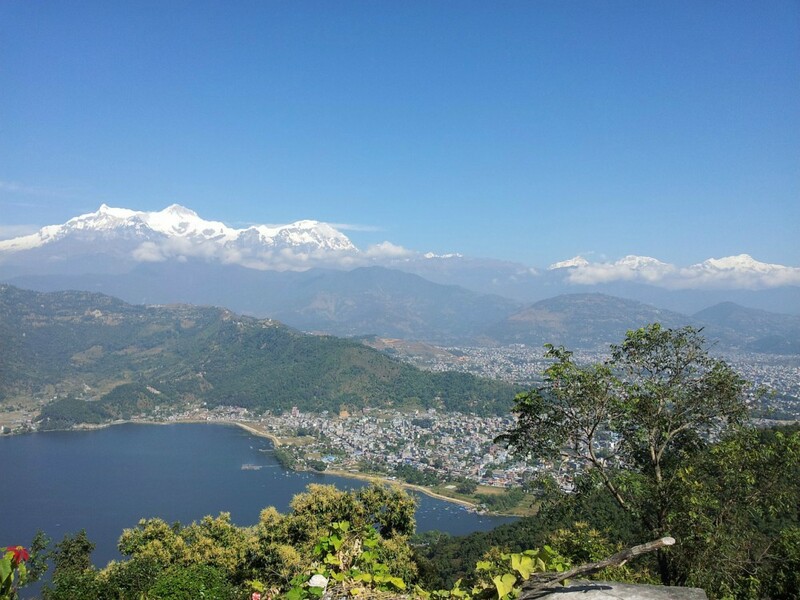 Day 06: Pokhara – Kathmandu After breakfast transfer to the airport to board the flight to Kathmandu (Surface transfers also can be arranged with some additional charge) and you can indulge yourself in shopping in Kathmandu. Overnight in Kathmandu. Day 07: Departure After breakfast check out from the hotel and transfer you to the nearest airport to board the flight to your onward destination.